WE WILL ANNOUNCE THE LUCKY WINNER ON CHRISTMAS EVE! Win a 3-night full board Spanish horse holiday for 2! We are a horse rehabilitation Centre in Spain and offer holidays where you can help our horses learn to trust people again. In return, you’ll learn new ways of training horses which are fun to do and great to bring back to work with your own horse at home. 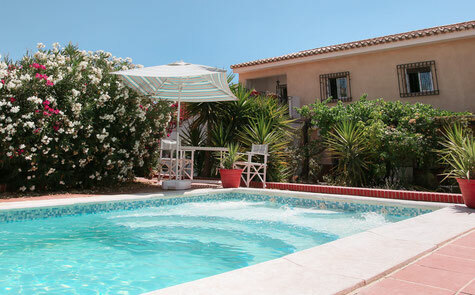 You stay in our beautiful casa in rural Andalucia, with solar heated swimming pool and gorgeous terraced garden. The food is always freshly home-made, and your holiday includes wine and beer. In fact, you don’t need to spend a cent from the time we meet you until you leave! We will match you to your very own equine partner for 2 days of horsey heaven. 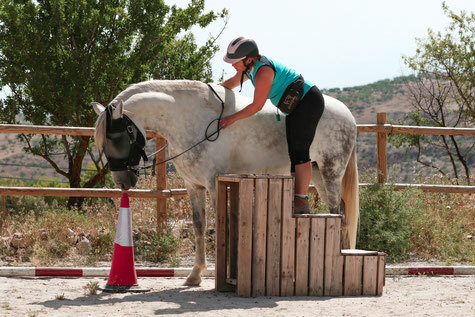 You can have individual lessons on positive horsemanship, gymnastic groundwork, or general rehabilitation. Or maybe you’d prefer to go for an in hand walk with your horse amongst the olive and almond groves. We can help you to build your confidence around horses, learn new skills and give you new solutions to old problems, such as loading, barging or biting. There is so much to learn and so much fun to have, it’s an opportunity you shouldn’t miss. We will draw the lucky winner on the 21st December. Accommodation in twin-bedded room. May be shared bathroom. Breakfast, Lunch and Dinner. All vegetarian. Gluten-free, Lactose-free and Vegan options available. Wine and beer freely available from 5 p.m.
Travel locally to Cortijo de Segura, where the horses live (2kms from the Casa). Use of garden and solar-heated swimming pool. If you haven’t already please like and share our FB Page and follow us on Instagram. 1. The prize draw (the "Prize Draw") is open to people aged 18 and over who provide their email address in the Mailing List Join Up Form. 3. 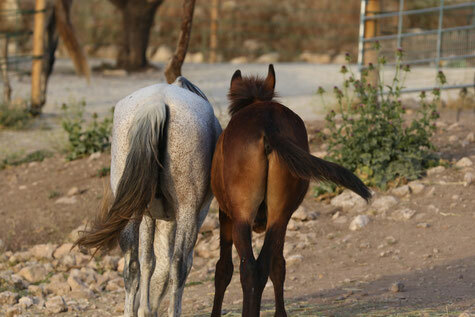 By submitting your personal information you agree to receive emails from Positive Horsemanship Spain (PHS) containing offers and developments that we think may interest you. You will be given the opportunity to unsubscribe on every email that we send. 4. To enter the Prize Draw you must complete the mailing list sign-up form and submit your name and email address. No purchase is necessary. If you have any questions about how to enter or in connection with the Prize Draw, please e-mail us at Claire @positivehorsemanshipspain with "Holiday Prize Draw" in the subject line. 6. PHS accepts no responsibility for entries that are lost, delayed, misdirected or incomplete or cannot be delivered or entered for any technical or other reason. Proof of delivery of the entry is not proof of receipt by PHS. 7. The closing date of the Prize Draw is 23:59 on 20 December 2018. Entries received outside this time period will not be considered. 8. One winner will be chosen from a random draw of entries received in accordance with these Terms and Conditions. The draw will be witnessed by an independent observer. The draw will take place on 21 December 2018. 9. The winner will receive a holiday in accordance with the description above. 10. PHS accepts no responsibility for any costs associated with the prize and not specifically included in the prize (including, without limitation, travel to and from Cacin). 11. The winner will be notified by email on or before 24 December 2018 and must provide a postal address to claim their prize. If a winner does not respond to PHS within 14 days of being notified by PHS, then the winner's prize will be forfeited and PHS shall be entitled to select another winner in accordance with the process described above (and that winner will have to respond to notification of their win within 14 days or else they will also forfeit their prize). If a winner rejects their prize or the entry is invalid or in breach of these Terms and Conditions, the winner's prize will be forfeited and PHS shall be entitled to select another winner. 14. PHS retains the right to substitute the prize with another prize of similar value in the event the original prize offered is not available. 15. The winner may be required to take part in promotional activity related to the Prize Draw and the winner shall participate in such activity on PHS's reasonable request. The winner consents to the use by PHS and its related companies, both before and after the closing date of the Prize Draw for an unlimited time, of the winner's voice, image, photograph and name for publicity purposes (in any medium, including still photographs and films, and on the internet, including any websites hosted by PHS and its related companies) and in advertising, marketing or promotional material without additional compensation or prior notice and, in entering the Prize Draw, all entrants consent to the same. 16. By entering the Prize Draw, you agree to the collection, retention, usage and distribution of your personal information in order to process and contact you about your Prize Draw entry, and for the purposes outlined in paragraph 14 above. 17. PHS accepts no responsibility for any damage, loss, liabilities, injury or disappointment incurred or suffered by you as a result of entering the Prize Draw or accepting the prize. PHS further disclaims liability for any injury or damage to your or any other person's computer relating to or resulting from participation in or downloading any materials in connection with the Prize Draw. 18. PHS reserves the right at any time and from time to time to modify or discontinue, temporarily or permanently, this Prize Draw with or without prior notice due to reasons outside its control (including, without limitation, in the case of anticipated, suspected or actual fraud). The decision of PHS in all matters under its control is final and binding and no correspondence will be entered into. 19. PHS shall not be liable for any failure to comply with its obligations where the failure is caused by something outside its reasonable control. Such circumstances shall include, but not be limited to, weather conditions, fire, flood, hurricane, strike, industrial dispute, war, hostilities, political unrest, riots, civil commotion, inevitable accidents, supervening legislation or any other circumstances amounting to force majeure.